Lawrence Nichols, "Public Engagement and Hope." Steven Ortiz, "Breaking Out of Academic Isolation: The Media Odyssey of a Sociologist." Michelle Lueck, "Hope for a Cause as Cause for Hope: The Need for Hope in Environmental Sociology." Lina Hu, "Doing Public Sociology in the Field—A Strong Sociological Intervention Project in China." Ronald Wimberley and Libby Morris, "Communicating Research to Policymakers." 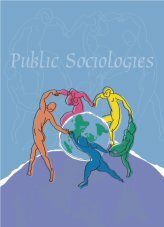 Gábor Scheiring, "Barbarians at the Open Gates: Public Sociology and the Late Modern Turn." Miklós Hadas, "Much Ado About Nothing? Remarks on Michael Burawoy’s Presidential Address."